Joe Denly has replaced the injured Liam Dawson in England's one-day international squad for the rest of the series in Sri Lanka. Dawson is expected to be out for up to a month after suffering a side strain while bowling during Saturday's victory in the second match of the series in Dambulla. The Hampshire spinner will fly home on Tuesday, with all-rounder Denly taking his place. Denly was included in the Test squad to take on Sri Lanka and returns to the ODI fold nine years after his last international appearance in the 50-over format. 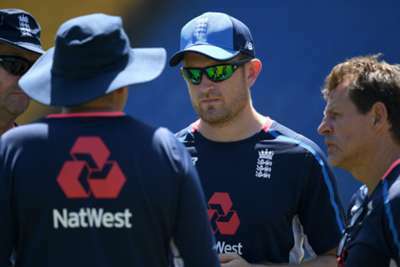 The 32-year-old will offer another spin option for Eoin Morgan's top-ranked side and is set to arrive in Kandy on Wednesday, when England will attempt to take a 2-0 lead in the five-match series after the opening game was ruined by rain.